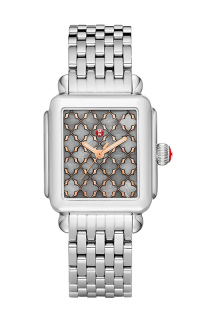 The rectangular case of the Signature Deco Diamond, Diamond Dial Watch reflects the geometric shapes identified with Art Deco architecture. 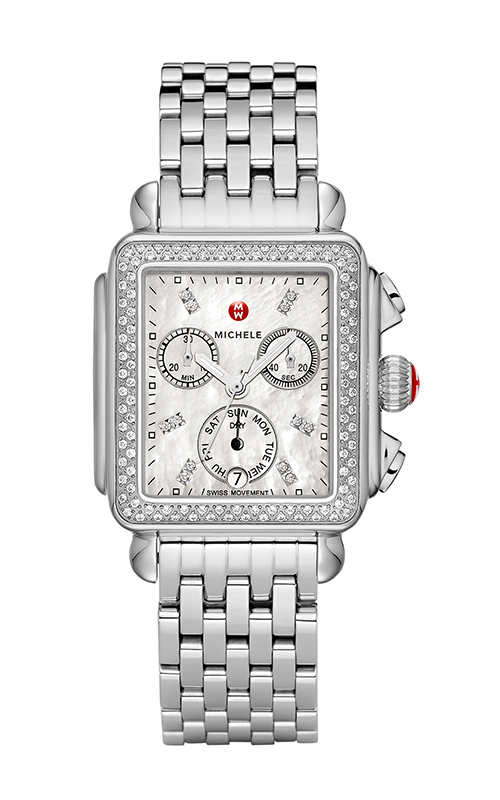 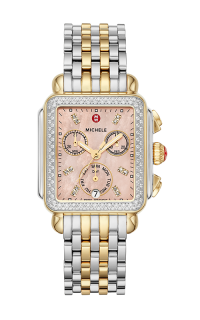 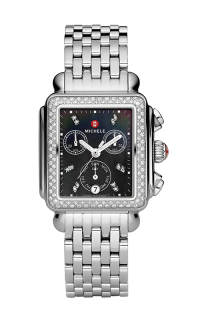 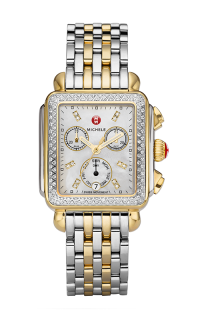 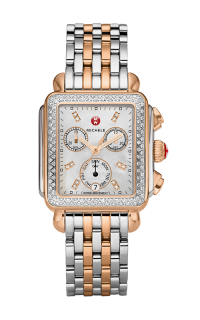 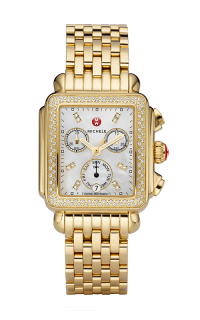 Brilliant diamonds surround the white dial with diamonds. 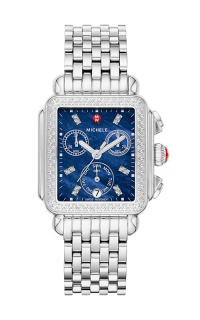 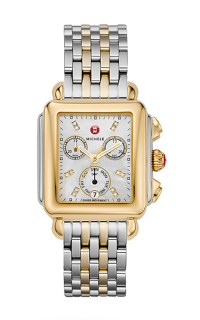 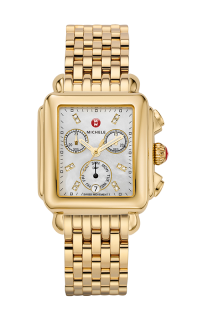 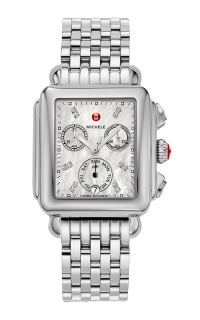 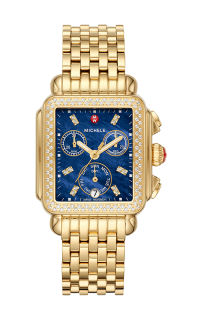 A Swiss chronograph, subdial for the day of the week, and a stainless-steel bracelet add the finishing touch.